Tarek Chemaly: Exotica Easter - blast from the past! Exotica Easter - blast from the past! The ad above dates back to the late 80s, and is such a gem am reposting it straight from the archives! Eggciting isn't it? 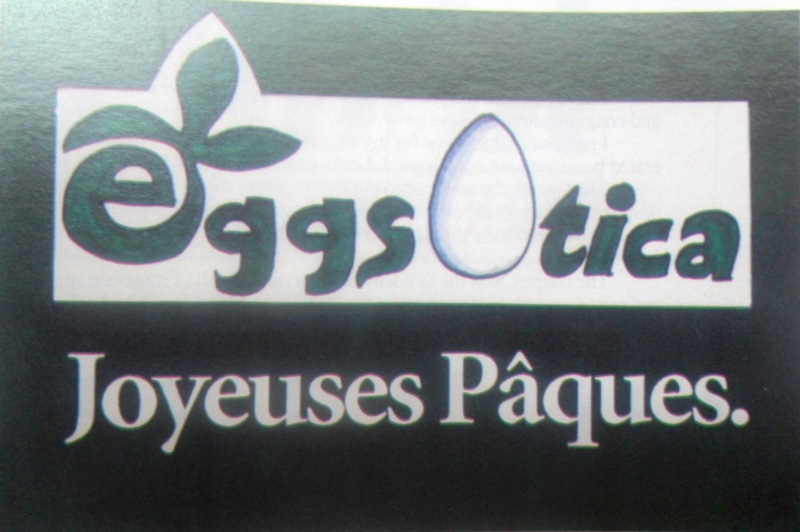 Well, that was the time when Exotica was still speaking French, still including religious symbols, and still being very fresh and cool.. Joyeuses Paques!